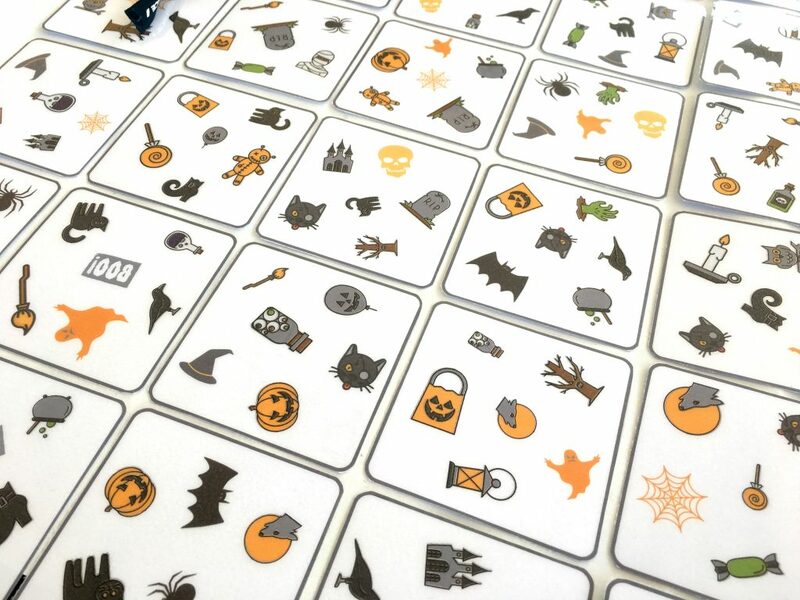 As everyone knows (or perhaps you were hiding in a bomb shelter since the beginning of September…), Halloween is coming ! It really is simple to play with : give each player a card and lay the rest (the draw) in the middle of the table. Flip one card from the draw. 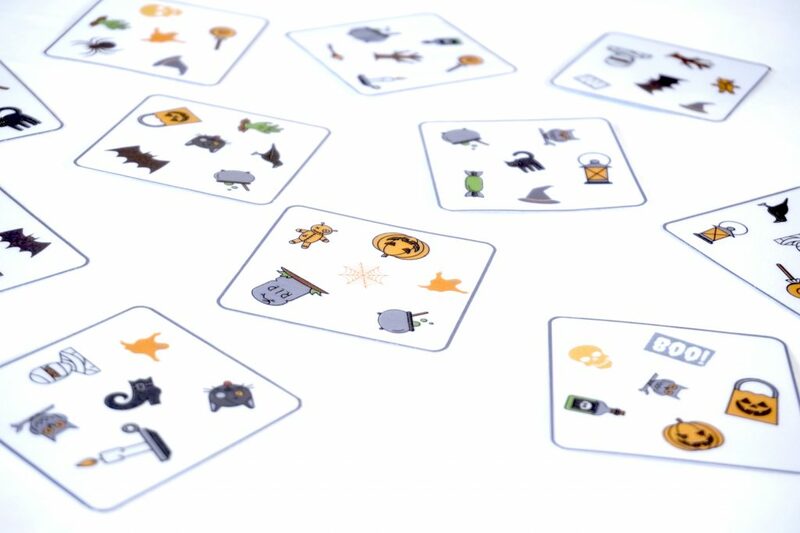 The first player to find the symbol in common wins the card. 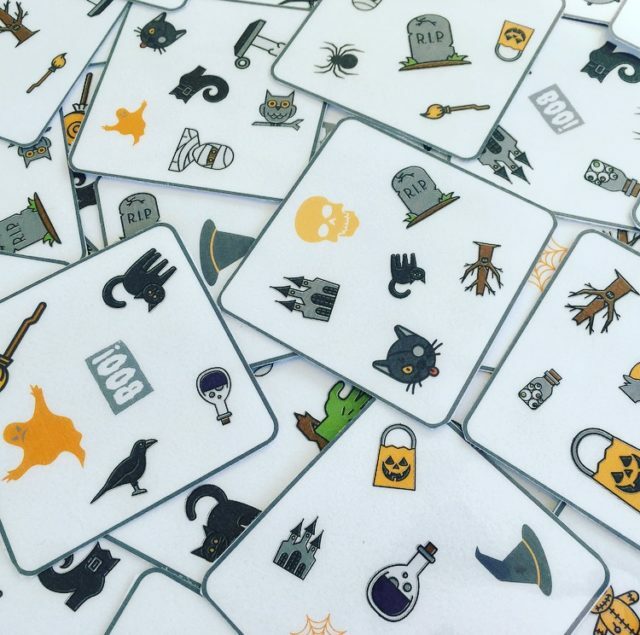 At the end of the game, just count the number of cards per player. The one who has the most won. To print this really awesome game (and, to be honest, if you don’t, your children will be mad at you…), click below and follow the instructions. 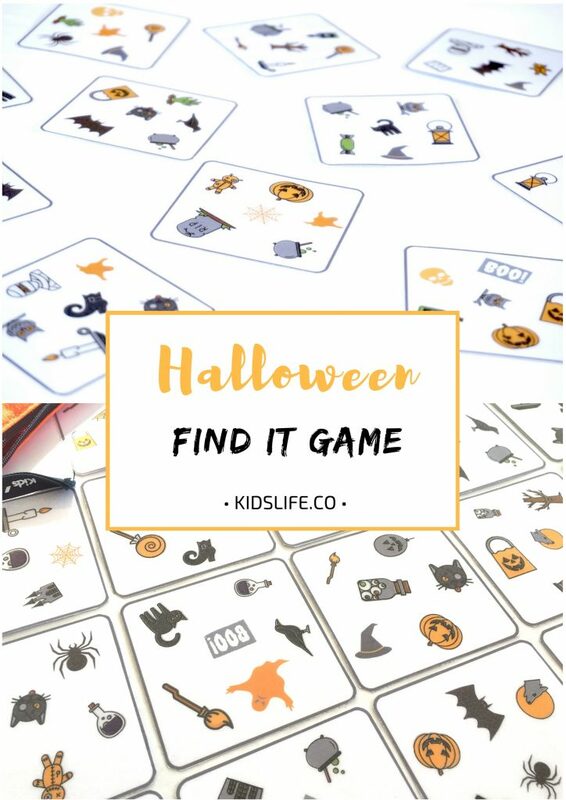 Home Printable Halloween find it game to print !